The coaching career of Norway’s former football superstar Ole Gunnar Solskjær isn’t over, even though his tenure as head coach for Cardiff ended after less than a year this week. Many think he still has a good chance of landing a position at another top-league club, and that he probably won’t go “home” to Molde. Solskjær, who had a brilliant playing career at Manchester United, went into coaching after retiring from the field. He took his former Norwegian team Molde to the national championships and left early this year to take on the Cardiff post. 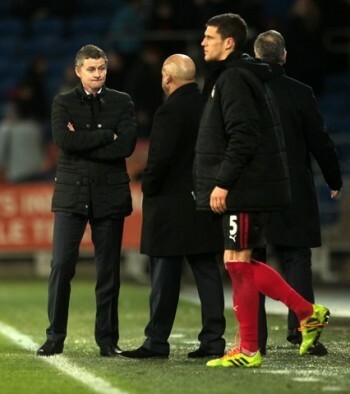 He failed, though, to generate the victories needed to satisfy Cardiff’s owner, Vincent Tan, and it was confirmed on Thursday that Solskjær was leaving his post after just eight months. As discussions raged over whether he quit or was fired, most agreed that Solskjær is a “very capable manager,” not least Molde director, Tarje Nordstrand Jacobsen. Molde officials had also understood when Solskjær took the opportunity to coach a major league team abroad. “He felt that the time was right to take the chance when he got it, and we were all prepared that that day would come,” Jacobsen said. Molde doesn’t have anything to offer Solskjær now, though. “We have hired new coaches (to replace Solskjær) and we’re very happy with them,” Jacobsen told NRK. They also have relatively long contracts, indicating there are no openings for Solskjær back in Molde. Solskjær took over the top coaching post at Cardiff in January but didn’t manage to halt its decline in the Premier League last season. That won’t ruin his reputation, though, according to Brian Deane, a former English player who now coaches Sarpsborg 08. “This just shows how tough the job is (as a top football coach),” Deane told NRK. He thinks Solskjær now has two choices: Find a new coaching job in England immediately or take a break from football. “I doubt he’ll return to Norwegian football,” Deane said, adding that coaching in the Premier League is “so much greater” than in Norway’s top league.